(L-R) Aurelio Montes Jr. and Aurelio Montes Sr. Under the watchful eye of a guardian angel, Montes Wines has flourished since its beginnings 30 years ago. Guided by passion, hard work, and ambition, Aurelio Montes dreamed of producing superior wines, not found in Chile at the time. Montes became the trailblazer, an innovator who shook up traditional ways of viticulture in Chile, by planting wine grapes on hillsides and developing remote valley vineyards. He led the charge for other Chilean wine producers to invest in their unique terroir, which raised the bar for all Chilean wines. 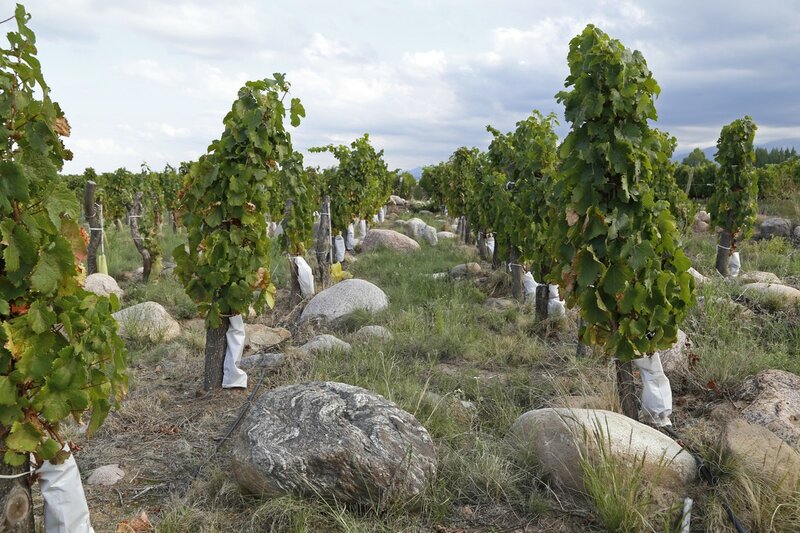 But Montes didn’t stop with Chile, over 15 years ago, he became fascinated with the very different terroir of Argentina, which he felt had more to offer than just Malbec. 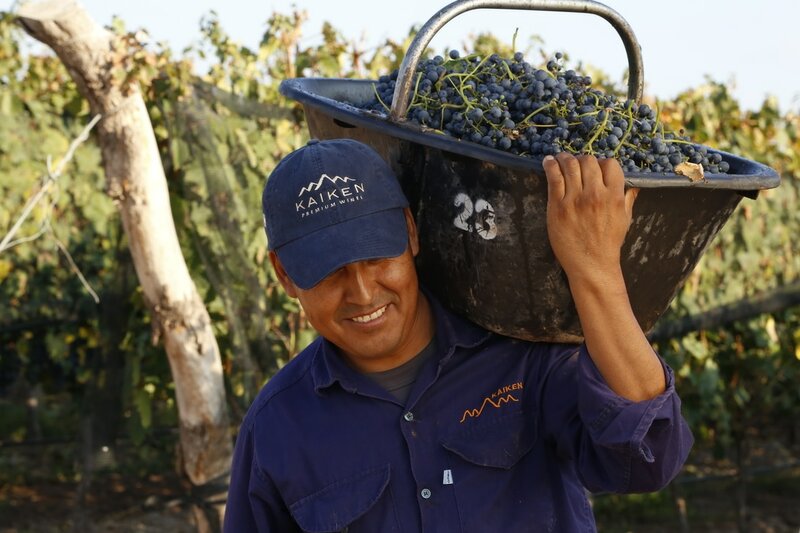 Today, Kaiken, headed by his son, Aurelio Jr. has become a star among the crowded field of high quality Argentinean wines, earning kudos and awards along the way. You might say the apple doesn’t fall far from the tree, but out of five children, Aurelio Jr. was the only one who followed in his father’s footsteps. “My father never pushed me but when you’re a kid, and look at your father, you look at him like a hero,” Aurelio Jr. contemplated, “I got really curious about winemaking because I looked at him, so passionate about what he had done, and what he was doing, trying to break all the rules, make the best wine in the world from Chile, trying to really prove in Chile that we had an unique terroir.” And so the teenager poured himself into learning the family business, he worked summers in the winery, graduated with honors from a Chilean winemaking university, and traveled the world for knowledge and experience. 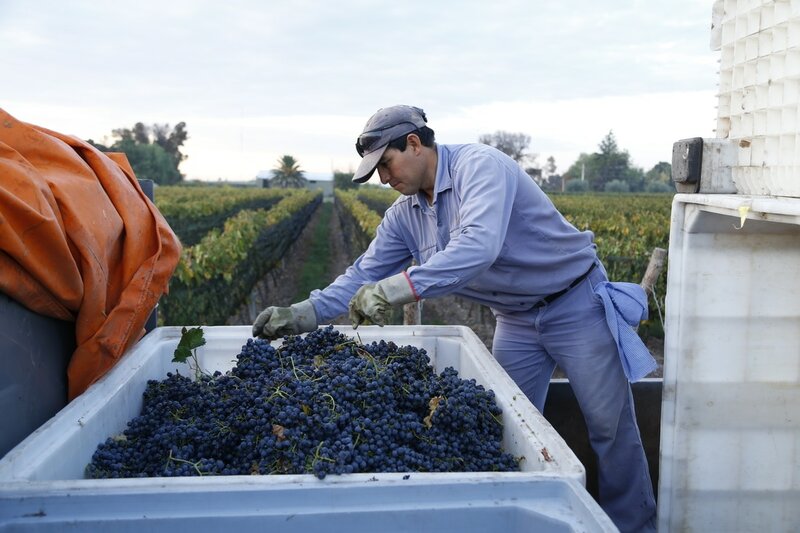 When he returned to Chile, he eventually joined Montes winemaking team, deepening their understanding of terroir, and bringing this knowledge of matching grape varietal with the proper location to his next assignment, Kaiken Wines. Aurelio Jr. explained, “You need to try, to experiment, you need to understand the soil, the weather, and that’s why I moved to Argentina.” He discovered how divergent mountain wines from Argentina and coastal wines from Chile could be, “The wine is so different from each side of the Andes, one more mineral, maybe bigger in terms of phenols, of tannins, and in Chile, it’s more fruity, more elegant”. Here, he spent five years growing Kaiken’s quality and reputation, channeling his father’s drive for excellence in wine. 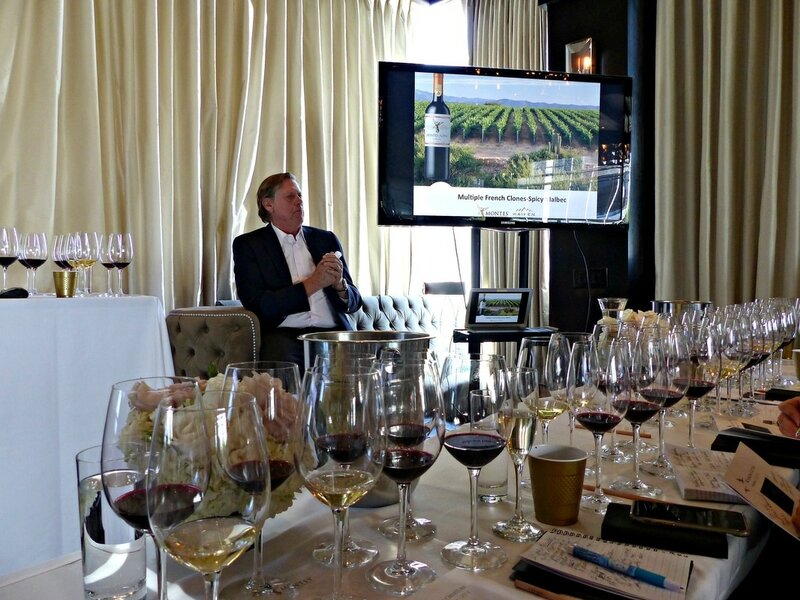 At a very special wine tasting in Los Angeles, billed “Like Father, Like Son, Two Generations of Montes, One Tasting”, Aurelio Sr. and Aurelio Jr. presented a fascinating study of Montes Chilean and Kaiken Argentinean wines. The overview? Chile’s cooler coastal climate gives rise to leaner wines, with more fruit and spice, whereas Argentina’s hotter desert environment contributes concentrated fruit, bigger tannins and more minerality to the wines, essentially each is the opposite of the other. As Aurelio Sr. observed, “It’s interesting, with the same winemaking procedures, 99% of the difference comes from terroir”. Different tiers of Montes and Kaiken wines went glass to glass, channeling the terroir and the father and son who are the driving forces behind the labels. 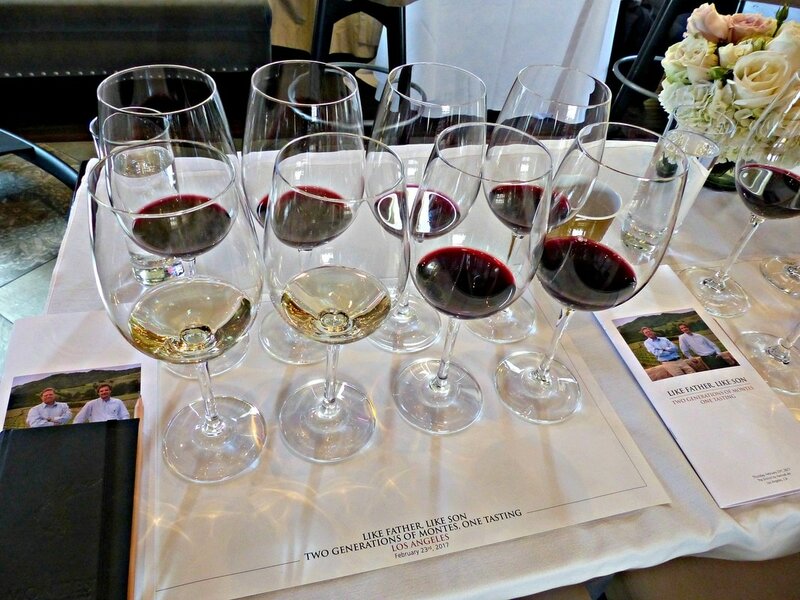 Sharing their stories, and bouncing their individual palates off each other, it was a blend of good-natured ribbing and humor, aged in a vessel of family dynamics, that infused their wines with a spark of innovation and excitement. The story of Montes wines has evolved tremendously since it’s beginnings, but it’s future is still being written in the creative spirit of the father and the son. 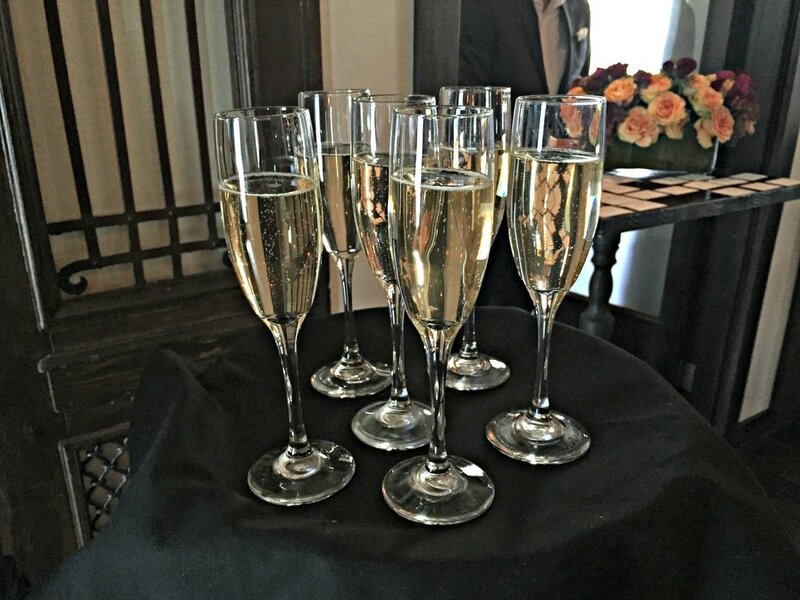 Flutes of Montes Sparkling Angel Brut greeted everyone, a festive and distinctive sparkler made of 70% Pinot Noir and 30% Chardonnay. A fabulous bubble stream unleashed aromas of flowers, dried fruit, nuts, and toasted bread, fresh and delightful on the finish. This is something new for Montes, an imaginative way to discover the wines of Chile! The first three comparison tastings of Montes Alpha and Kaiken Ultra were varietal wines from the 2014 vintage, all retailing under $20. Both labels represent their medium quality, fairly priced wines, and are great value for the quality. Up first, Chardonnay from both filled the glasses. Aurelio Sr. spoke for Montes Alpha Chardonnay, “Chilean Chardonnay is crisper, leaner, it’s got a better edge, and it’s got a lot of fruit in it.” For Kaiken Ultra Chardonnay, Aurelio Jr. noted, “In Argentina, you get maybe less intensity in terms of aromas, but in the mouth, you get better grip, better minerality in the mouth.” You couldn’t get more opposite, yet there is a thread that connects the two. “When I moved to Argentina, it was a place that was impossible to produce white wine, it was too warm, we didn’t have the influence from the ocean,” Aurelio Jr. observed, “but the influence from the Andes, where the higher altitude gives you cooler temperatures, we get the breeze from the Andes, which cools everything down.” The Montes Alpha was more tropical fruit, higher acid, balanced and elegant, while the Kaiken Ultra was bigger in the mouth, more structured and mineral. Second tasting, the Cabernet Sauvignons were compared. 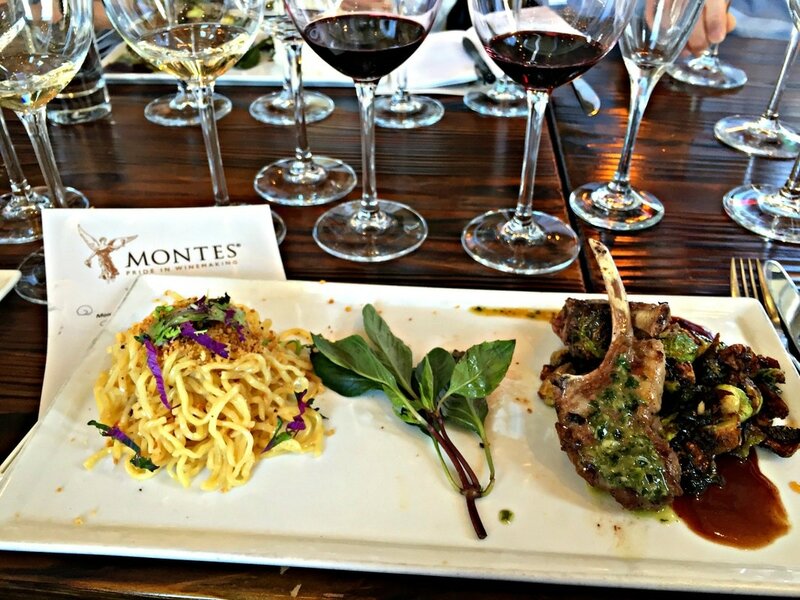 Montes Alpha Cabernet Sauvignon was Aurelio Sr.’s first wine that put Montes on the map in 1988. Aurelio Jr. had a high benchmark to meet, he explained, “When I moved to Argentina, everybody was telling me, Malbec, only Malbec. I looked at them, and thought, you can do whatever you want, I’m going to do something different.” And so, he found a well-drained spot close to the Mendoza River to plant his Cabernet Sauvignon. 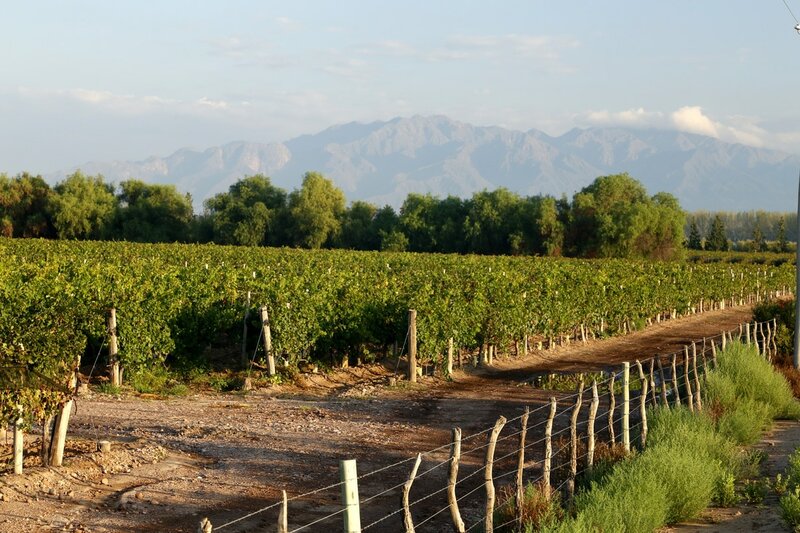 Aurelio Jr. observed, “Argentina is a paradise for winemaking, it’s a desert, there’s no insects, no fungus problems, 20% humidity, it’s a good place to grow in a biodynamic way.” And the proof is in the glass for Kaiken Ultra Cabernet Sauvignon. Aurelio Jr. noted, “On the nose, there is no spiciness like in Chile, we get ripe fruit, but the mouth is soft and silky, this wine will age well, but is drinkable today”. Aurelio Sr. felt the Montes Alpha Cabernet Sauvignon was similar to the Chardonnay in that “it’s leaner, the tannins are sharper, the acidity is higher, a very elegant wine.” The Montes was fresh and light, with good acidity, and balanced use of oak, while the Kaiken was more lush, with dark berry fruit enveloped in a mineral, structured body, finishing silky and long. Third tasting, Malbec took center stage. You might think that the Argentinean Kaiken Ultra Malbec is the obvious choice, but hold on. Aurelio Jr. observed that the riper Malbec fruit from Argentina makes a “Malbec that is much more expressive on the nose, spicy, with black fruit, beautiful tannins and very juicy”, but it requires a different oak treatment, “because the wine is more sweet, we use different barrels, which gives more tobacco, vanilla, dark chocolate, so we don’t compete with the juiciness of the wine.” Even Aurelio Sr. agreed, remarking that “it’s so voluptuous, so sensual, the flavors remind me a little of sweet coffee, toffee, butterscotch, it goes so well with meat.” Yet the Montes Alpha Malbec has the greater aging potential, as Aurelio Jr. weighed in, “Chile is more austere, bigger tannins, more acidity, very elegant.” He continued, “In Chile, we need to work more to find good Malbec, but when we find the place, it can compete directly with Argentina.” For today’s drinking, the riper fruit of Kaiken is more attractive, but in time, Montes acidity and tannin will mellow, yielding an elegant wine. The tasting moved up the pyramid, to what Montes Sr. and Jr. call their “icon wines”. Montes Alpha M is a Bordeaux blend, 80% Cabernet Sauvignon, 10% Cabernet Franc, 5% Merlot, and 5% Petit Verdot, the 2012 vintage was excellent, crafted in the style of a French first-growth Bordeaux. Powerful, with its concentrated fruit, structure, and overall elegance in its balance of acidity and tannins, a hint of mint lifted the aromatics and flavor, a gorgeous wine. The Kaiken Mai Malbec 2013 is very special, made from the fruit of a 107-year-old vineyard just outside of the city of Mendoza. Aurelio Jr. calls it a “gold mine”, where mostly Malbec vines are sprinkled with a few plants of Semillon, Cabernet Franc, and Cabernet Sauvignon, “you get the flavor of a 107-year-old vine, with a touch of spiciness of these other varieties.” He found that “The M has evolved into such an elegant wine, still keeping the freshness, the fruit, a little bit of that tiny mintiness, very elegant. Argentina is keeping the voluptuousness, the sweetness, the Malbec here, in my opinion, is 100% Argentinean taste.” Truly the wow factor! Montes Taita, the pinnacle, is the culmination of winemaking experience and exceptional terroir, what Aurelio Sr. called “Wisdom In Wine”, noted on the label. Cabernet Sauvignon makes up 85% of the wine, with the other 15% being the Winemaker’s Secret Choice, which depends upon vintage conditions. In a good year, Merlot or Syrah is the choice; in a cooler year, Cabernet Franc or Petit Verdot is the go to varieties. A vertical tasting of the 2007, 2009, and 2010 vintages was poured, Taita is only made in the best years, the reason that there is no 2008, due to late rains during harvest. These are hugely concentrated wines, with the 2007 and 2009 the most opulent and seductive, with a finish that goes on forever, in the realm of a life-changing wine that will haunt your sense memory for a long time. Over a three course lunch at The District by Hannah An, two additional whites, a Montes Limited Selection Sauvignon Blanc and Kaiken Terroir Series Torrontés, were poured along with the Montes Purple Angel 2013, an icon wine blend of Carménère and Petit Verdot that expressed the best of Chile’s terroir. Montes offers an incredible range of wines, among all price points. In fact, Wine Spectator just named Montes as one of 30 “wineries to trust” in the world for their excellence and affordability. Always seeking out the next challenge, Aurelio Sr. and Jr. continue to broaden the winescape for both Chile and Argentina. In addition to creating quality wine today, the Montes family is committed to the future. 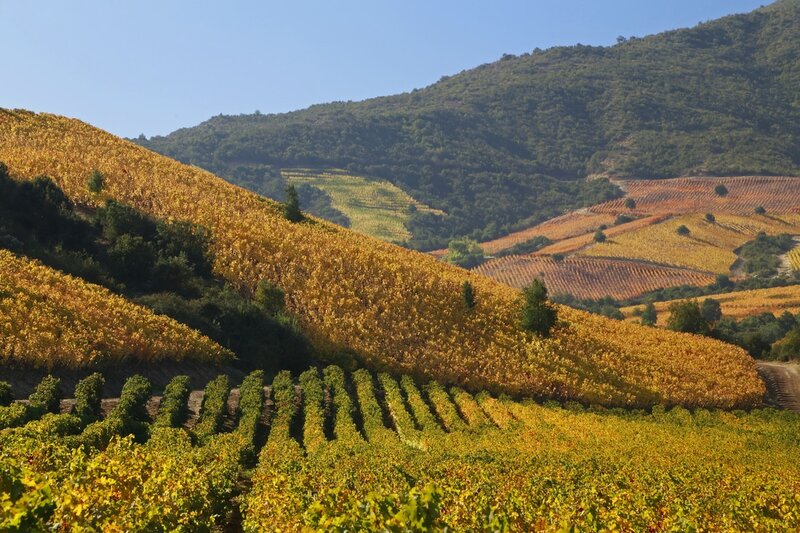 Embracing dry farming and biodynamic techniques, Montes works to be sustainable, from wildlife corridors in the vineyards, to energy conservation and recycling in the winery. But it doesn’t stop there, Montes is socially responsible as well, contributing to their workers and their families’ education, believing that happy people do a better job. Aurelio Jr. explained how that translates into better wine and business, “When we moved to Argentina, we made a policy not to try to make Chilean wine in Argentina, or Argentinean wine in Chile, it’s not just the terroir, the soil, but the right people.” And looking at the whole picture, he mused, “We are not looking for results today, we are looking for the long future, to do something that will last forever.” With a guardian angel by their side, the future looks bright.